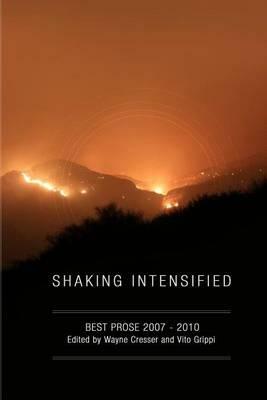 Shaking Intensified is a compilation of the best prose pieces published by Shaking Like a Mountain from 2007 to 2010. The magazine has recently transitioned to be an online journal and yearly print and ebook anthology. This collection represents the best of the Shaking online-only years. It includes fiction and nonfiction by, Diane Dees, Rachel Unkefer, Libby Cudmore, Fred Shaw, Pablo Medina, Louis E. Bourgeois, Norah Piehl and more. With an introduction by novelist and Shaking fiction editor, Janice Eidus.